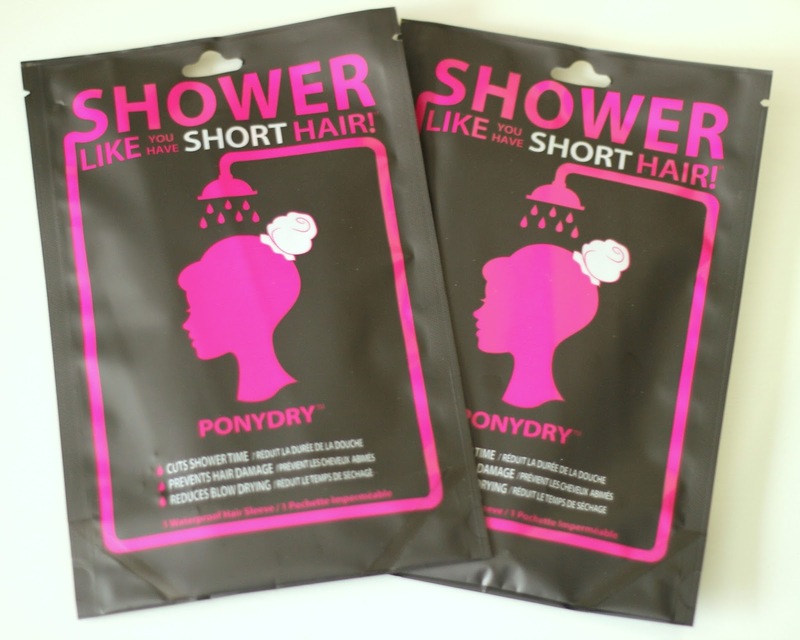 Cut Down On Hair Styling Time With PONYDRY | Review + Giveaway! 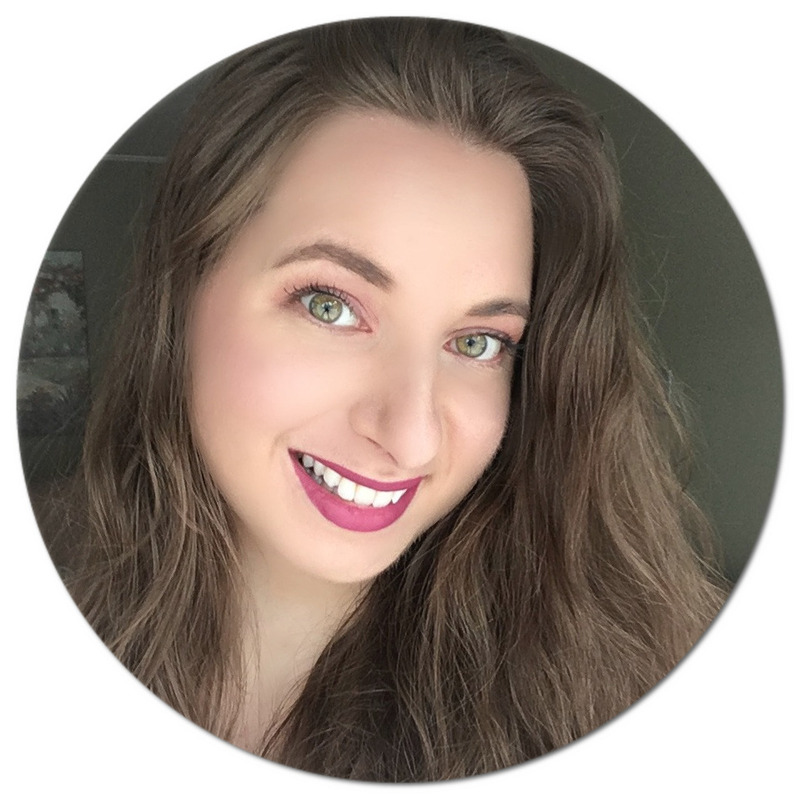 I've come across quite a few unique products in the last few years I've been blogging, some of which I still adore and use all the time (such as this gem here). When it comes to styling my hair, I only do it occasionally because 1) it takes me forever to curl or straighten my hair and 2) it isn't healthy to use heat on it too often. 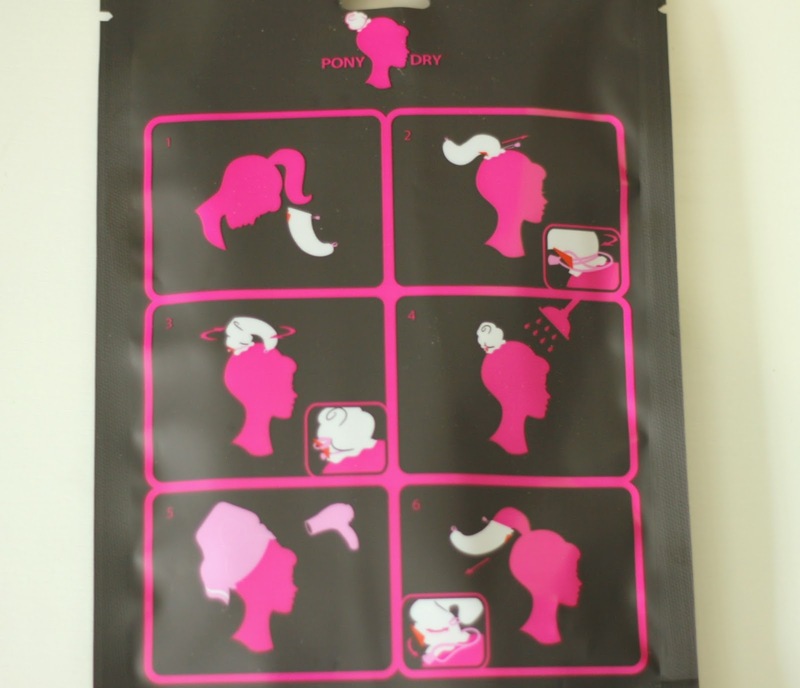 I was recently introduced to PONYDRY*, a waterproof hair sleeve designed for those of us with long hair who want to avoid having to restyle our hair after washing it but also want to have a clean scalp and not have to resort to products such as dry shampoo. I wasn't too sure what to think of it, which oddly enough made me even more curious to try it out. If you've been wondering the same thing, you've come to the right spot (and might just end up winning one for yourself)! 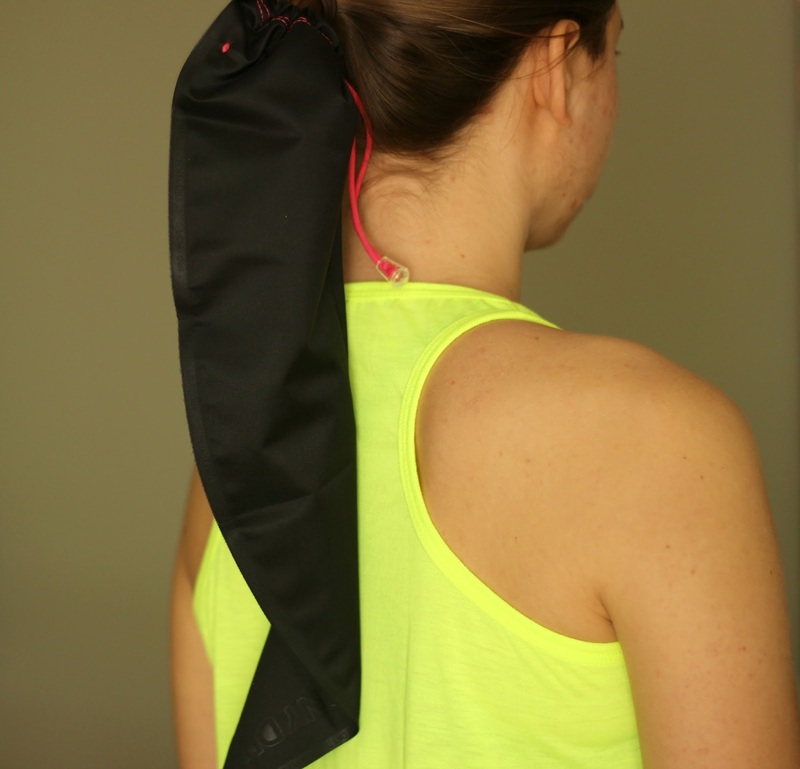 PONYDRY is a polyester sleeve that, you might have guessed, keeps your ponytail dry yet allows you to deep clean your roots and scalp as you normally would when showering. It basically looks like a stocking, with a pink strappy cord and button near the base and a black elastic loop at the end. When rising your hair product out, instead of it running down the length of your hair, it feels like you have short hair since the sleeve only allows for your scalp to get wet with the rest of the hair being tucked away. This way, you reduce your styling time and prevent hair damage since you do not have to completely restyle your hair every time. This however means that you need to have medium to long hair so that it can be tied in a ponytail and still be wrapped around a few times into a bun. 5. 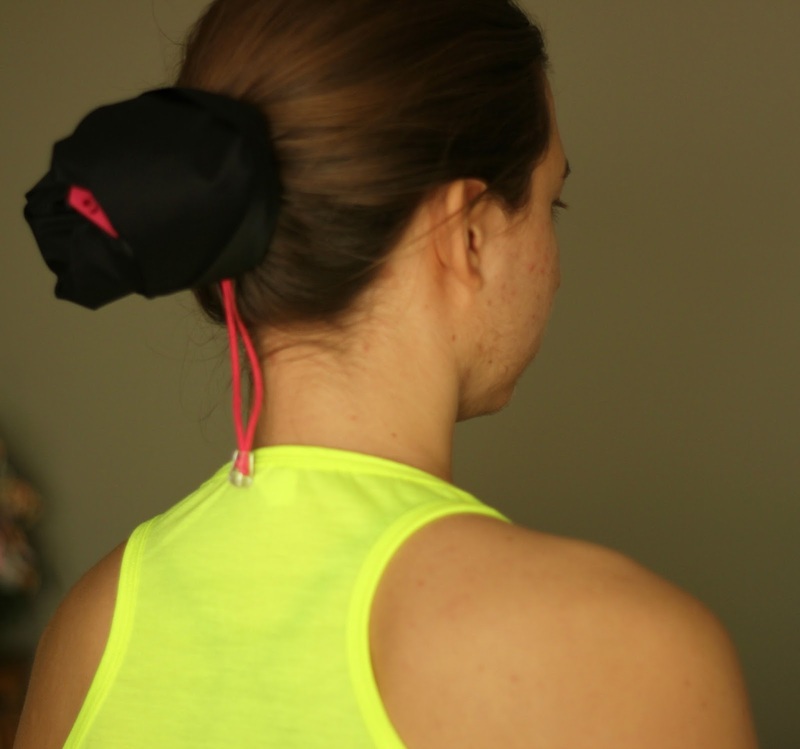 Secure your bun by passing the black elastic loop through the pink button. They also recommend keeping the sleeve on until your hair is damp by gently towelling it dry. You can also leave it on while blow drying your hair since it is heat resistant. Lesson learned: Read the instructions! The first time I used the sleeve was a miserable fail because 1) I did not go for a high ponytail and 2) did not tie the cord properly. As you can probably tell from the pictures above, my ponytail is too low and the pink cord is dangling when it should be wrapped around the base and secured with the button. The good news it that I tried again a fews days later by following the step-by-step instructions and it worked like a charm! Bottom line: I think it is a pretty genius invention for someone who styles their hair often and wants to save both time and money. 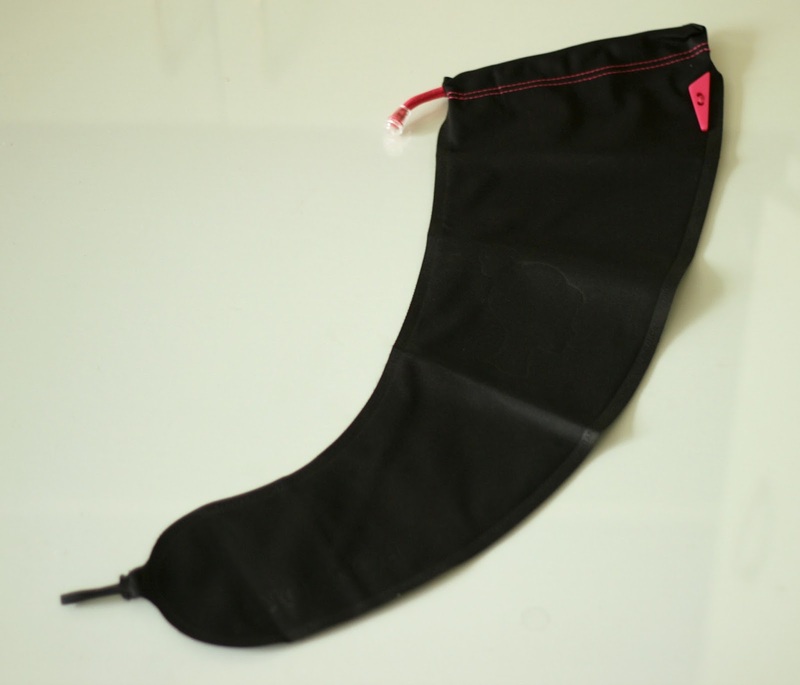 The PONYDRY Waterproof Hair Sleeve retails for C$19.99 and can be purchased online. If you would like to win a PONYDRY, simply enter my giveaway below (open internationally)! Do you style your hair often? I style my hair almost every day! (: Happy New Year! would love to win! I used to style my hair everyday, but from the last year after the hair fall issues, stopped using heating/styling tools almost completely. Thank you for the giveaway,.. I style my hair basically daily as it's wavy and I straighten it.